These are set out in more detail below and in the submission to the Owens Farm (Hop Garden Road), Hook appeal. The overall impact of correcting these errors would be to reduce Hart District’s overall housing target to around 6,100 units and crucially reduce Rushmoor and Surrey Heath’s target so they don’t need to ask Hart to build 3,100 houses for them. This will mean that Hart will be able to satisfy the rest of its target from brownfield development alone and won’t need a new town at Winchfield or anywhere else. Inward migration to this or any other district represents a “want” of people living elsewhere to live in Hart and not a “need”. Many people may desire to live in Hart because it is one of the best places to live in the country, but no-one “needs” to move to live here in the strict sense of the word. Indeed inward migration to Hart represents the unmet needs of other districts. If Government policy is followed, then the housing, employment, education and other “needs” of the people “wanting” to move to Hart should be met by the local authorities where they currently live and thus the apparent need for housing in Hart arising from inward migration should substantially reduce. There is no evidence presented in the SHMA to evaluate the impact of reduced inward migration to Hart from other districts as a result of those districts now being forced to meet their own needs, nor the impact of the implementation of the Northern Powerhouse. Indeed London has now agreed to meet its own housing need in full, which should reduce the scale of inward migration to the HMA. Notwithstanding the above, the SHMA makes a subjective judgement to cherry pick inward migration data from 2005-2010 as being the “most realistic” approach to take to future demographic modelling. Moreover, it uses spurious statistical analysis to try to infer causation from a weak correlation (R2=~0.65) between housing completions and inward migration. This is inherently flawed for a number of reasons outlined below. First, of course it is self-evident that the period during which the HMA delivered most housing was when inward migration was highest. However, as was argued above, this scale of inward migration represents unmet needs of other districts rather than the unmet needs of Hart. Second, the period when we were building most and attracting most inward migration was during one of the longest uninterrupted periods of economic growth in history, supported by a large structural deficit in the national accounts and the biggest credit binge of all time. Of course it ended in a spectacular bust and can in no way be described as a “normal” or “sustainable” set of economic conditions. The economic conditions we are seeing now with more moderate growth linked to the need for the Government, companies and people to live within their means and reduce debt will be the situation for the foreseeable future and thus represent a more “normal” situation. The period 2007-2012 includes the final year of the boom, the recession and the now more moderate pace of economic growth that surely more closely represents future conditions. Indeed, as Figure 1 shows (data taken from Fig. 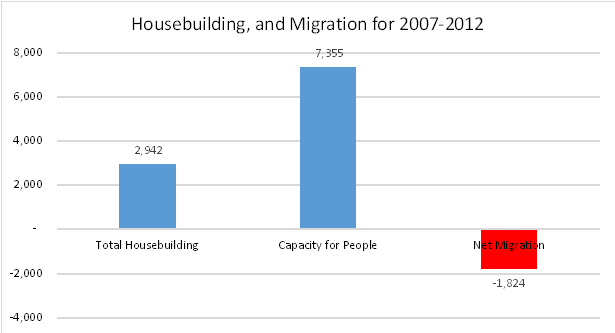 7.4 of the SHMA on p71) taking the period 2007-2012, the HMA delivered 2,942 new dwellings which at an average of 2.5 people per dwelling created capacity for an extra 7,355 people to live in the area. Despite that, the HMA experienced an overall outward migration of 1,824 people. It surely cannot be considered sound to base the future housing “need” on increasing inward migration projections when recent data shows that in fact the HMA is undergoing net outward migration despite creating significant capacity for more people to live here. Accordingly, the additional 1,210 houses postulated in the SHMA arising from inward migration should be removed from the housing “need”. Figure 7.7 of the SHMA (reproduced as Figure 2 above) shows that the trend in household size as measured by the census is slightly upward for the period from 2001 to 2011. This is in direct contradiction to both the 2008-based and 2011-based CLG projections. Yet the forward projections used in the SHMA reverse the trend shown in actual data in the census and persist with the inaccurate forecasts of a continuing fall in the average household size. Part of the justification for this is given as “at the time of the 2011 Census, the British economy was still in recession”. This is factually incorrect as a cursory examination of the GDP numbers on the BBC website shows that the economy came out of recession in mid-2009. It seems the forecasting “experts” are at a loss to properly explain this reversal of trend. 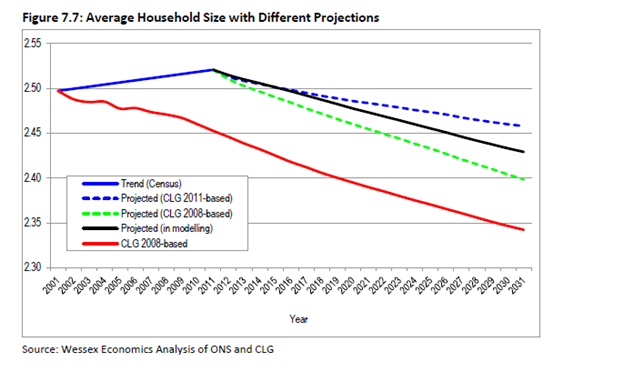 Moreover, given that the starting point for the SHMA projections is DCLG sourced figures, it would be somewhat odd for the DCLG forward projections not to include its own forecasts for household size. There is therefore a significant risk that this part of the SHMA has double counted erroneous household size projections. It is therefore inappropriate continue to assume a continuing downward trend in household size. Surely a more prudent assumption would be to assume that the current household size is maintained and update that assumption and the SHMA as more real data comes to light. Accordingly, the 1,500 additional houses in the SHMA related to the flawed household size assumption should be removed. The SHMA uses a set of jobs growth assumptions that are based on forecasts that are vastly in excess of what has been achieved in the most recent economic cycle. The SHMA contains data on the historic rates of job growth for the HMA. This shows two sets of data that are derived from different sources and cover different time periods (Figures 4.3 & 4.4 of the SHMA). First, there is the period 1998-2008, covered by ABI data. This shows overall job growth in the period of 7,200, or 720 per annum for the 10 year period with a compound annual growth rate (CAGR) of 0.6%. Second there are different BRES sourced data for the periods of 2009-2012. The BRES data from 2009-2012 shows total jobs growth of 200, or 67 per annum for the 3 years in question or a CAGR of 0.05%. 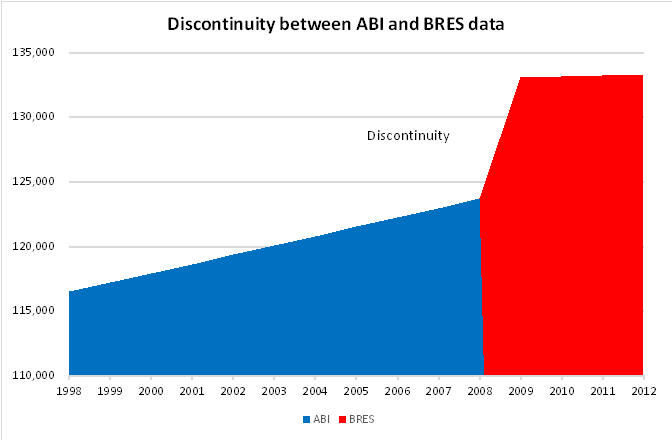 Figure 3 shows a comparison of the BRES data and the ABI data that demonstrates the discontinuity between 2008 and 2009, with a jobs increase of nearly 10,000 when we know the economy was in the teeth of a deep recession. Note that the report states that the ABI and BRES data cannot be directly compared because they are compiled using different methods. It is therefore clear that each period (and dataset) should be treated separately and independently rather than splicing them together. Treating the datasets separately would indicate total jobs growth over the economic cycle of 7,400, or 529 per annum or a CAGR of 0.41%, based on backward extrapolation of the BRES data. Taking this 0.41% rate of growth as a future projection would mean we would add 11,332 overall jobs over the period of 2012-2032 at an average rate of 567 total jobs per annum. 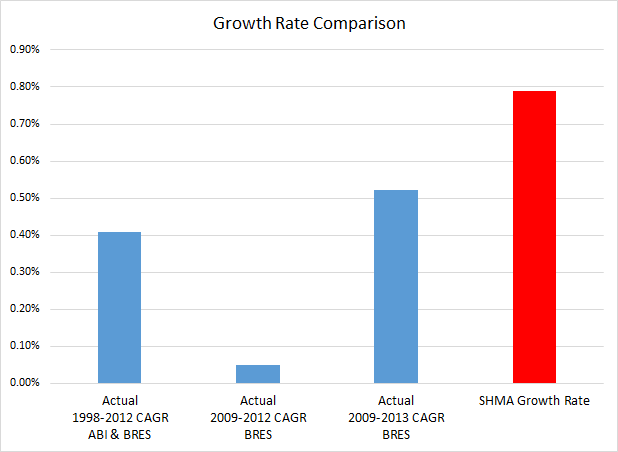 However, the SHMA uses as its central assumption that future jobs growth of 1,130 per annum will be achieved, equating to a CAGR of ~0.79%, nearly double what was achieved over the most recent economic cycle and far higher than that achieved during the unsustainable boom of 1998-2008. Given the constraints on Government spending and tighter credit conditions that are likely to persist for some time due to tighter bank regulation, it is inconceivable that we will achieve an economic growth rate nearly twice that achieved during the last economic cycle. Figure 4 shows the comparison of these growth rates. Little justification for this is given other than it is based on Experian forecasts. The recent job creation history (2009-2012) showed jobs growth of 67 per annum as we came out of the recession. 67 jobs per annum equates to less than 6% of the jobs that the SHMA assumes we will create. Revised figures for 2013 demonstrate a CAGR of jobs growth from 2009-2013 at 0.52%, still well below the SHMA projections at a time the UK as a whole is creating more jobs than the rest of the EU put together. This demonstrates that the Experian forecasts are pie in the sky and it beggars belief that such unproven Experian forecasts should take precedence over the actual real world achievement. A further illustration of the outlandish nature of the Experian forecasts is given in para 7.70 of the SHMA. In its forecast published in 2013, Experian assumes there were 145,000 jobs in the HMA in 2011. Whereas the 2011 Census says there were only 122,300 and the BRES data says 125,000. How can we trust Experian to forecast the future when it can’t even get the the past right? wage and salary levels increase. No explanation is given for not taking into account the other ways in which the labour market can adjust. This shows an increase from around 70% of working age people in employment to 86-88%. No justification for this increase is given anywhere. From the above, it is clear that the employment forecasts are outlandishly large and the SHMA does not even take into account most of the ways in which jobs can increase without leading to a need for more housing. It is clear we should not be basing our housing requirement on such forecasts. Figure 4.1 of the SHMA demonstrates that Hart in particular and the whole HMA enjoy high levels of employment and unemployment levels that are below the regional and national averages. Therefore, the number of jobs to be created in the future should at least partially be a matter of “want” rather than “need”. The future employment targets should be based on a realistic assessment of the capacity of the economy to create jobs in the private sector as it is these jobs that will support the largely state sector jobs in education and health that will be required to support the increased population. “from the earliest stages of plan preparation, which includes the preparation of the evidence base in relation to development needs”. It therefore follows that the local community should be consulted upon the employment targets it wishes to set and the related scale of development required to meet that target. No such consultation has taken place, nor is it planned which represents a significant flaw in the Local Plan process. The evidence from the petition indicates that local people are more likely to express a preference for a lower level of development. Finally, despite enjoying high levels of employment, it is clear that we need to change the way we forecast jobs growth in the area as past methods have resulted in vast amounts of unused employment land and vacant retail outlets with examples illustrated here and here. It is clear that past employment forecasts have been erroneous; that the future employment forecasts in the SHMA are spurious and do not represent a realistic assessment of future economic or employment growth rates; and the local communities have not been consulted upon this key issue. Nevertheless, we can achieve enviable growth and employment rates in line with the requirement to “plan positively” without having to resort to such over-development. Accordingly, the 5,100 additional houses in the SHMA related to the flawed employment forecasts should be removed. Evidence presented at the examination of the Vale of the White Horse Local Plan has demonstrated that if the adjustments made to the baseline DCLG housing projections were applied on a national basis, they would increase the national output of housing to double the DCLG estimate of what is needed and triple the recent output of housing. Applying a similar approach to the Hart, Rushmoor and Surrey Heath SHMA shows that on a national basis, we would be delivering 54% more housing than we need on a national basis, see Figure 5 above. Surely it cannot be right that we are being asked to build at a rate that would lead to a surplus of housing. The baseline DCLG projections for the combination of Hart, Surrey Heath and Rushmoor call for 790 houses per annum (SHMA Figure 7.3). 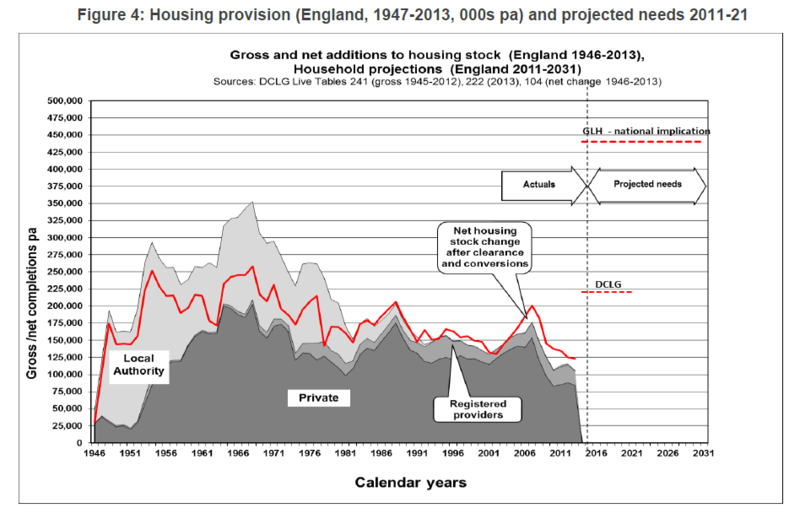 This equates to the DCLG projection of 220,000 houses per annum nationally (see figure 6 above). This compares to recent performance of around 150,000 houses per annum. The final SHMA, after taking into account past under-delivery, amount to a total of 24,413 houses (see table below), or an increase of 54.6% over the DCLG baseline figures. The duty to cooperate might mean that Hart District has to build more houses than either Surrey Heath or Rushmoor as part of our Local Plan. If the same 54.6% uplift were applied to the DCLG projection, we would be building over 340,000 houses per annum nationally, more than double recent performance. In recent years Hart has built more houses than it has been required to do and built at a rate above regional and national averages (SHMA Table 5.11). 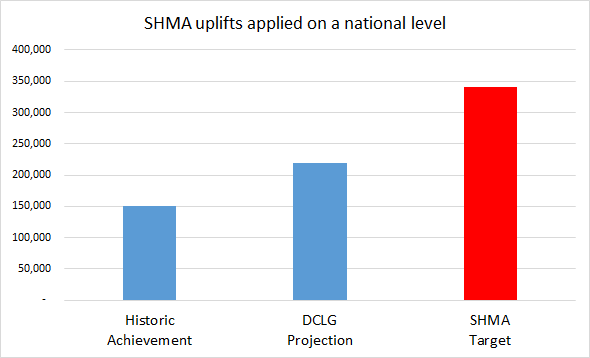 It is beginning to look like the total of the local SHMAs are much larger than the overall requirement as defined by the DCLG. Surely it cannot be right that we are being asked to build at rate more than 50% higher than the DCLG suggests we need to meet overall demand. The overall impact of removing these errors would be to reduce the overall housing target for the combined area by around 7,800 units. This would reduce Hart’s overall housing target to around 6,100 units and crucially reduce Rushmoor and Surrey Heath’s target so they don’t need to ask Hart to build 3,100 houses for them. This will mean that Hart will be able to satisfy the rest of its target from brownfield development alone. Posted in Brownfield Sites, Hart District Council, Hart Local Plan, Hart SHMA, Risk of becoming sink for Surrey Heath and Rushmoor, We Heart Hart Campaign, We Love Hart Campaign and tagged Brownfield Sites, Experian jobs forecast, Hampshire, Hart District, Hart District Council, Hart Local Plan, Hook, OAHN, Peter Village QC, Risk of becoming sink for Surrey Heath and Rushmoor, Rushmoor Borough Council, SHMA, Surrey Heath Borough Council, We Heart Hart Campaign, We Love Hart Campaign, Winchfield.